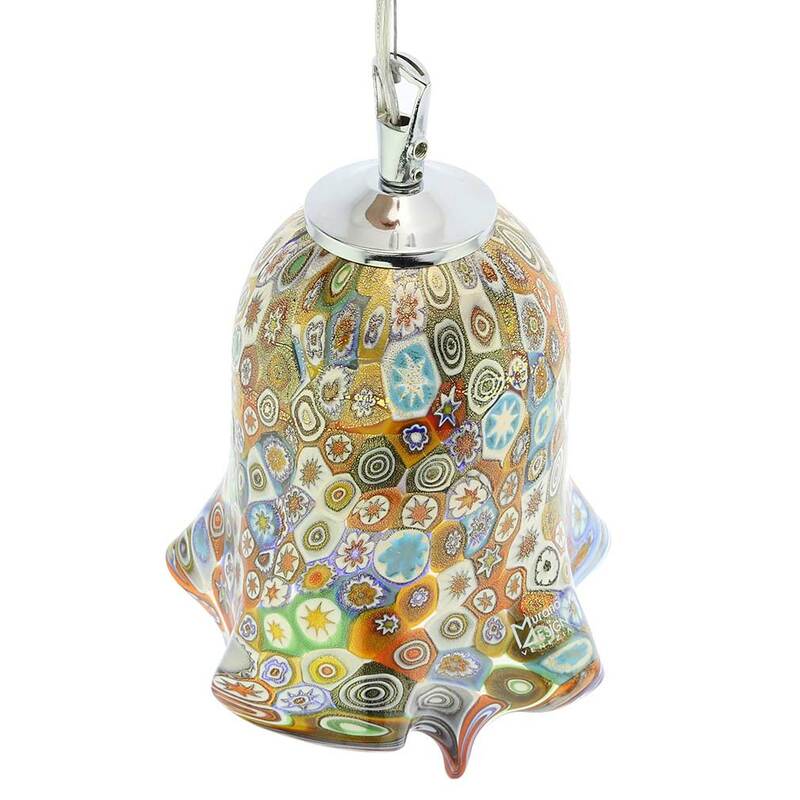 Exquisite, shimmering and unique, this Murano Glass Millefiori pendant light brings ancient Venetian artistic tradition and unique skills of Murano's top artisans from Venice to your home. You can find these traditional pendant lights throughout Venice, in jovial trattorias, osterias and bacaros (Venetian wine taverns), creating cozy ambiance and adding a bright inviting touch to the decor. 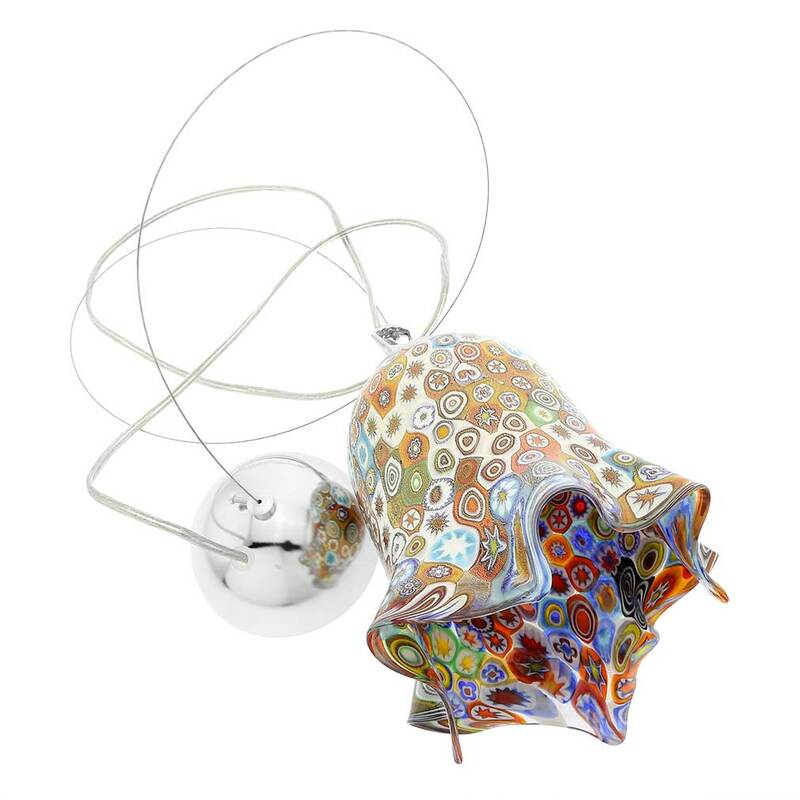 This elegant pendant light in Millefiori technique features famous Fazzoletto design reminiscent of a folds of a handkerchief, and embodies the artistic taste and amazing mastery of Murano Glass artisans. 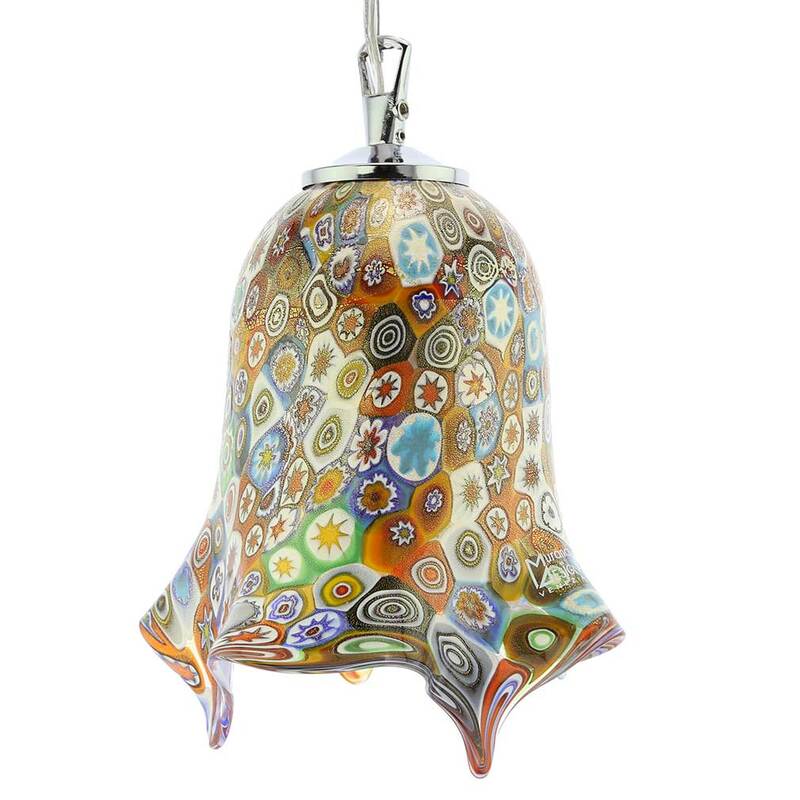 Away from Venetian magic and beauty, this Millefiori pendant light makes it possible to recreate the convivial atmosphere and elegance of Venice in your own dining room, family room, kitchen, hallway, or any other room of your house. 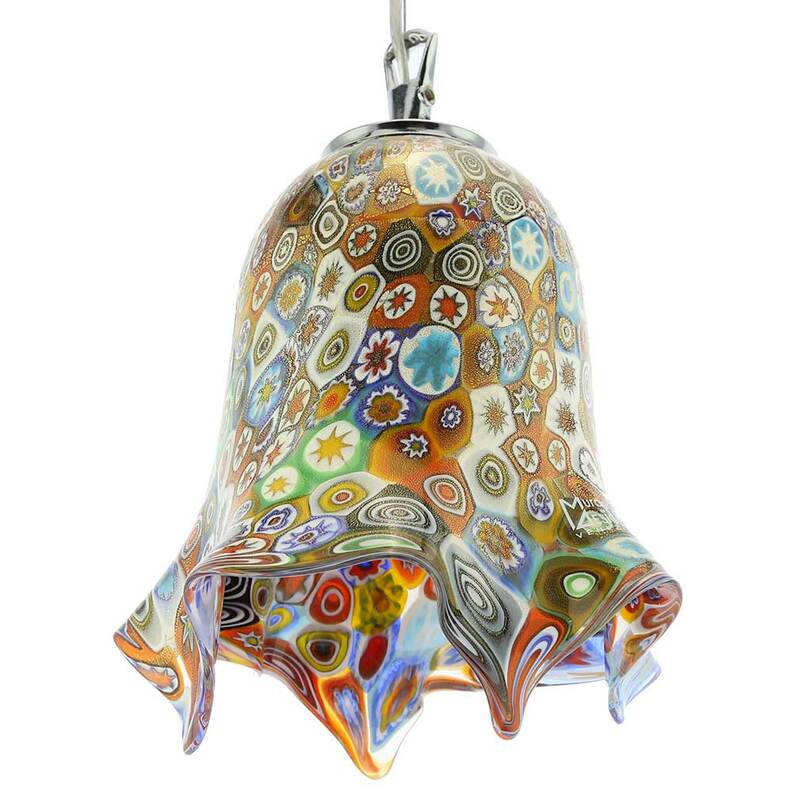 Spend lovely evenings under its warm glow and contemplate how the beauty of Venice inspired generations of local artists to create elegant yet practical things from Murano Glass. 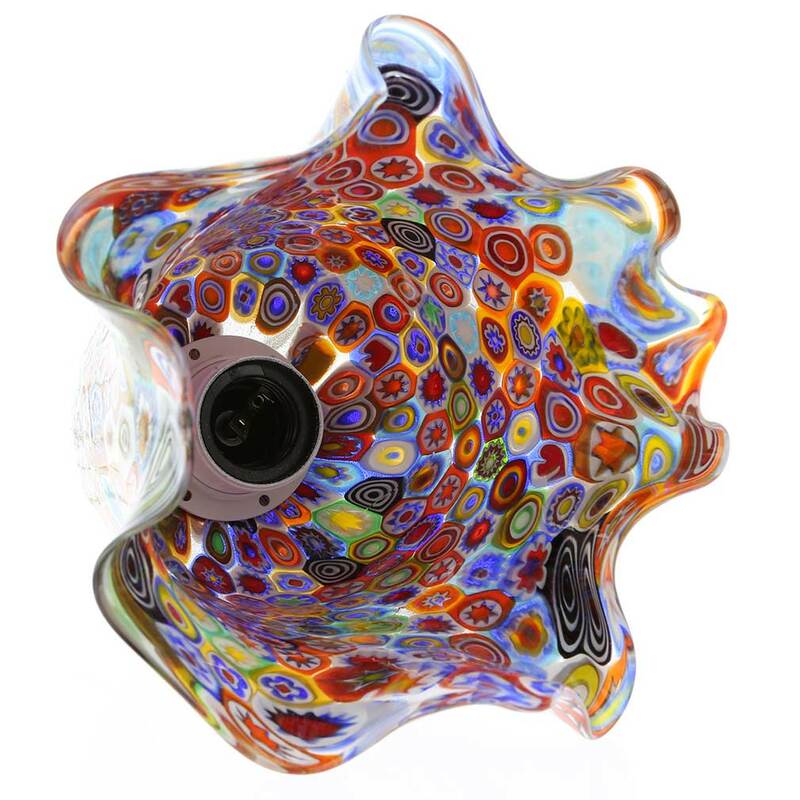 Measurements: The glass part measures 7 inches in height and is about 7 inches in diameter. 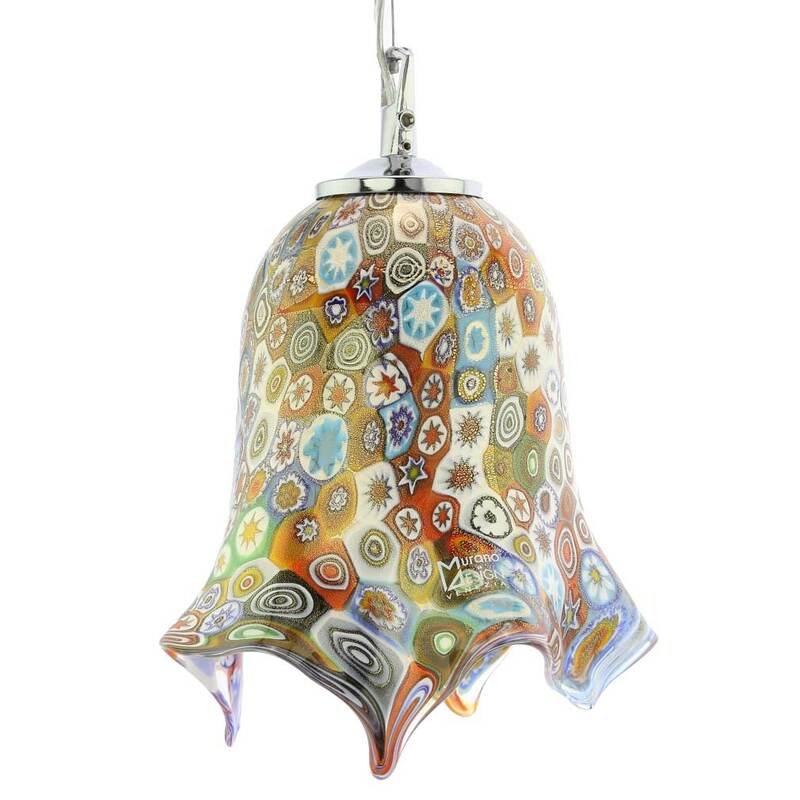 This pendant light is 100% authentic Murano Glass creation handcrafted according to the traditional techniques of Murano glass-making. Because this pendant light is a handmade work of art, no two of these items are exactly the same. 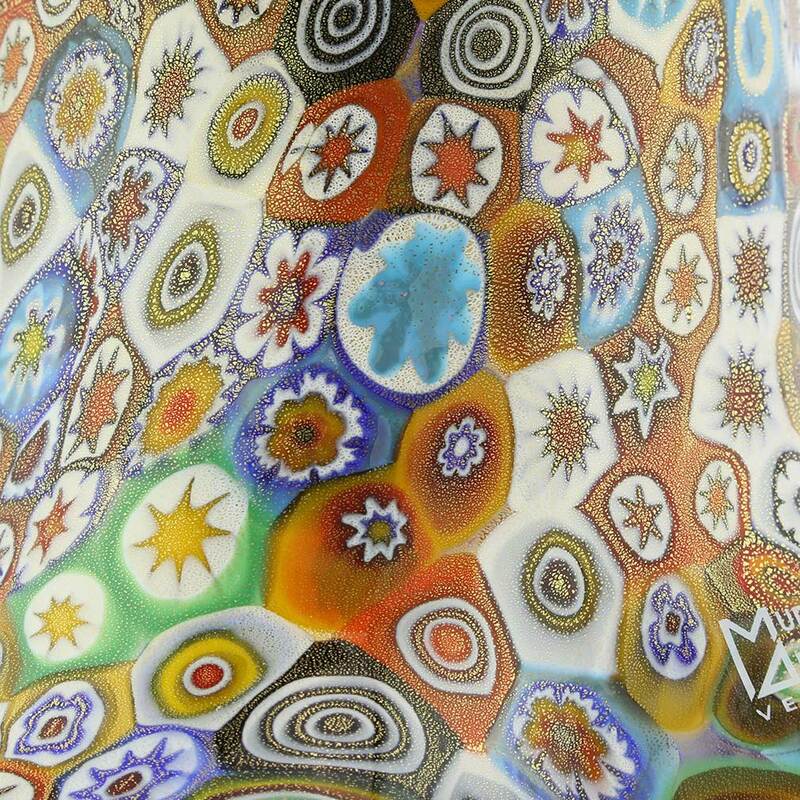 There may be minor variances in colors and patterns, bubbles trapped inside glass, and certain rough spots. Such variances do not constitute defects and instead testify to the handmade nature and artistic value of these creations.